I’ll be celebrating my birthday next week! Winter birthdays are always kind of lame. It seems every fictional character on TV has a spring or summer birthday, celebrated in the backyard with cake and balloons on a warm, sunny day. They are right to do it though, brightly coloured balloons just don’t look right in slush, sleet and that hard brown/grey snow left everywhere after a few melty days in a row. Winter birthdays are always spent inside on cold, cloudy days. That’s why I always try to make my birthday extra special! Help me celebrate this year with my Sweater Weather Skirt giveaway! 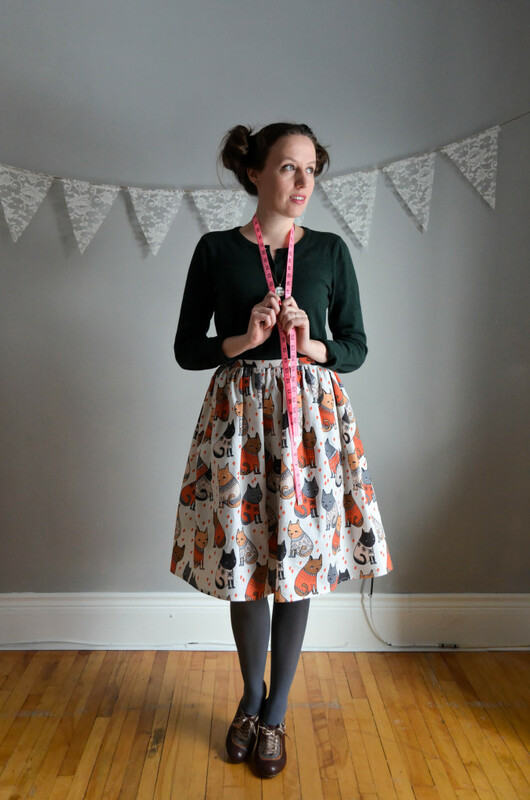 The skirt is available through my shop in sizes XS – XL, with petite and tall options as well. The thicker fabric, midi length hem line and adorably quirky cats-in-sweaters print make it perfect for wearing in cool weather. Anyone can enter the giveaway and the prize, valued at $64.25, will ship for free to anywhere in the world! The winner will be chosen by random in two weeks and announced here, on Facebook and on Twitter. That lucky person will also be emailed using the address provided through the widget below. Good Luck! Giveaways not your style? Use coupon code HAPPYBIRTHDAY10 for 10% off anything from the Sophster-Toaster shop from now until the end of the month! This giveaway has closed. Thank you for entering! 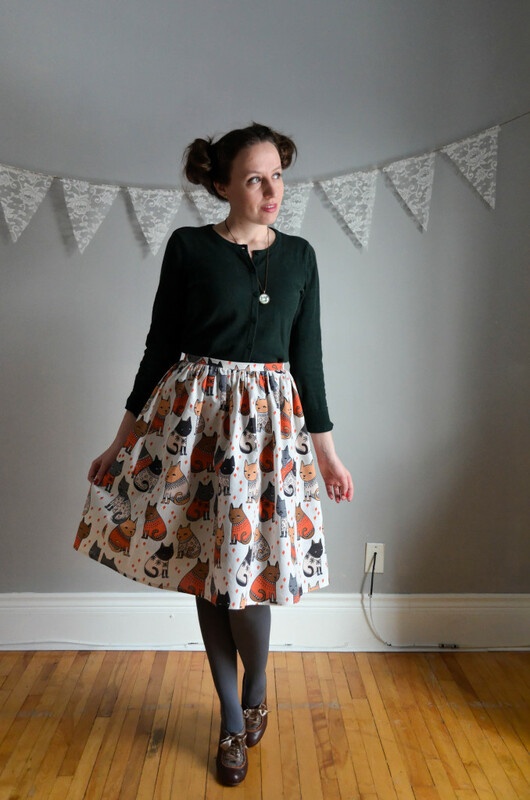 This entry was posted in Sophster-Toaster Brand and tagged Giveaway, Skirt, Sweater Weather Skirt. Bookmark the permalink.